Assalamualaikum, Salam Sejahtera, Salam 1Malaysia, dan Selamat Datang ke Wikipedia saya. Nama saya Aiman bin Ab Majid, (أيمان بن ابمجيد). Saya adalah anak kedua dari keluarga Abdul Majid bin Aziz. Saya dilahirkan pada 2 Jun 1985 di Petaling Jaya, Selangor, Malaysia. Saya ialah Orang Kurang Upaya (OKU) dari jenis masalah pembelajaran dan autisme. Sejak kecil lagi saya tidak petah bercakap tapi kini sudah ada sedikit lancar memandangkan saya sudah besar dan berfikiran seperti orang dewasa. Saya boleh membaca, menulis dan banyak tertumpu kepada pembelajaran dari tadika sampailah ke kolej. Saya pernah mendapat pendidikan awal di beberapa sekolah pendidikan khas bermasalah pembelajaran (Autistik) di Shah Alam, Johor Bahru dan Subang Jaya. Now for those who can’t read Malay, Aiman is a man (as can be inferenced from the ‘bin’ in his name), born on the 2-Jun 1985 (making him just 27 years old) in Petaling Jaya Malaysia. He’s an Orang Kurang Upaya (OKU) –which is the official term for disabled people in Malaysia–due to his autisme, and he gives a brief story as to how he overcame the odds from being unable to speak to actually speaking a bit from kindergarten till College. It’s an amazing story to read, that someone with Autisme in Malaysia is actually contributing to our countries repository of information–this could only happen with technology. I usually would be skeptical of such stories, but Wikipedia users aren’t exactly glamour hungry, there really is no reason to lie on a Wikipedia profile. You can read more about Aiman on his Wikipedia User Page. Although it’s not mentioned here, his Wikipedia user page also goes on to elaborate that he’s an expert in Malaysian Expressways, which explain why the Malaysian Expressway System Wikipedia page was updated a total of 912 times by Aiman. This is a page you’d expect many updates, since Malaysia adds a highway nearly every day as far as I can tell, and the person keeping Malaysian up to date on our expressways–is Aiman bin Ab Majid. I’m really blown away by the results, and it’s only while writing this article and looking through the data that I noticed I might be looking at only the English articles, and Aiman had already updated English articles a total of 13,179 times. His closest rival in this case was wikipedia user Earth, who updated English articles a total of 2,477 times (about 5 times less than Aiman). It’s really really nice to see, someone from Malaysia actually updating information about our country, particularly our Nations expressways. I think crowdsourcing in Malaysia has definite potential. 2. Unfortunately, the data set didn’t have contributors country of origin, therefore I had to settle for the next best thing, which was to filter all Wikipedia articles by only those that had Malaysia in the title. 3. This meant, that Malaysian users updating articles about other countries were not counted in the equation. 4. It also meant, Malaysian users updating articles that didn’t contain the word Malaysia in the title, were also not counted in the equation. 5.The 13,179 revisions by Aiman were on ALL articles revised by him, but because I couldn’t export the data for a more granular analysis, based on what I could see this covers only ENGLISH articles. 6.While the methodology is very restrictive and has some flaws (we do the best with the data we have), the fact that Aiman blows everyone else out of the water could be a good thing. The difference between Aiman and the rest of the pack is just so wide, that even if we improved the data quality and availability, it’s unlikely he could be overtaken by anyone. 7.A similar search for Singapore, yielded Wikipedia User Huaiwei as the Singaporean Wikipedia King (or Queen) with a total of 9,477 revisions. 8.Just like Aiman, Huaiwei writes a lot about public transport in terms of Singapore airlines, bus routes etc. 9.In terms of article titles, the article titled Malaysia, is the most updated article on the list (quite obviously). 10. What’s not so obvious is why Malaysian Airlines is 2nd most updated article on the list. That I will cover in my next post, but as a preview to that–the data suggest MAS was updating their own Wikipedia page, a solid no-no when it comes to Wikipedia ethics. Some might say, doesn’t he have things to do other than update Wikipedia. This really “Makes my blood go upstairs”. 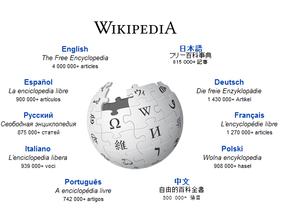 Contributing to Wikipedia is an indirect (and sometimes direct) contribution to society at large. What else could be more important. His 13,000 + revisions have helped keep articles up to date and added value not just to Wikipedia but to the internet in general. The value of updating wikipedia–even a slight amendment–dwarfs any value of watching any program on TV. Yet, we seem to have no problem with people to openly admit to watching hours upon hours of korean dramas or reality TV–but spend hours updating Wikipedia, and suddenly people ask you about having better things to do. I’m proud of Aiman (whoever and where ever he is), and I’m proud to have a fellow Malaysia take Wikipedia so seriously. You should be too. *I’ve tried contacting Aiman, but he hasn’t replied to any of my emails, I’ve decided to leave it at that. If you know Aiman , you might want to give him that pat on the back he so greatly deserves. From your statement above. I would like to wish you Terima Kasih Banyak-banyak (Thank you very much) for my contribution on my Wikipedia. Thanks Aiman. Keep up the good work. I first met Aiman when I married his mum’s cousin in 1990. His maternal grandmother and my husband’s mum were very close sisters who loved and enjoyed spending time with each other. After marriage I worked and lived near their home and I often dropped by, almost because his grandmother was a sweet and nurturing lady. Aiman was about 5 yrs old then. I had noticed that he loved to read and especially the newspapers. It seemed that he read every corner of the paper. I was intrigued when later he would rattle of bits and pieces of information to those who were around him. The popular news at the time was about the war in Bosnia- Herzegovina and I was fascinated by the way he pronounced the name and related the incidences. In fact his general knowledge about many things were quite profound compared to kids his own age and for that matter, even other older normal children. His other loves were of map reading and drawing, especially that of roads and streets. He would draw from the perspective of a bird’s eye view and that with the advancement of technology has inadvertently helped him to gain recognition somewhat from his abilities. What you have read of Aiman is only the tip of an iceberg. I’m sure if his grandmother were alive she would be so proud of him. Just to inform that Aiman has passed away yesterday evening (10th dec) in his sleep. He was otherwise a healthy person, and still very cheerful and as usual telling me about his latest updates on highways in his highway blog , and that he regrets that he cannot go to sarawak (where i live) to see the roads and bridges there (he knew more abt the roadmaps and years bridges were constructed than me), i told him that he could still go any time he wanted to. I was quite annoyed that he used the word cannot instead of have not. And that was just 24 hours before he left us to be wt his Maker. We will miss him dearly. ? Thank you so much for the info. Indeed, he will be missed, and I’m glad that he at least saw this blog post, and made contact with me before he passed away.